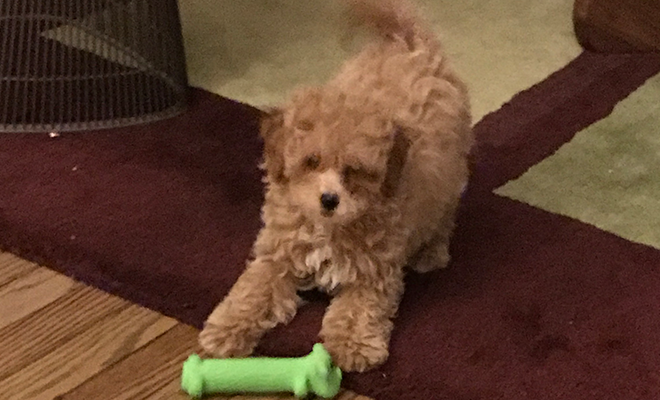 She’s a Maltipoo whom I adopted just over two weeks ago. She will be three months old tomorrow, June 6th. Currently about 4.5 pounds she will max out at about 7.5 lbs. Smart, sweet, and loveable she’s pretty easy to train and a delightful companion to have while I am home working. Previous reading CHARLEY, PART OF GEORGE AND VICKEY’S FAMILY.